People seem to be enjoying the possibilities. 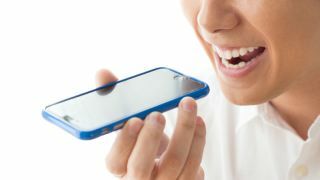 Those people who have started using mobile voice search in the last six months are the most frequent voice adopters, according to news coming out of Google UK. More than four in ten (42 per cent) are using it daily, compared to those that stared using it more than four years ago, where it’s frequently used by a quarter. According to the report, the adoption curve is ‘getting to a point where brands and agencies need to start taking it seriously’. With the help of voice, 75 per cent are searching more frequently than before. However, voice isn’t exactly ‘killing’ text search – the latter is still popular. Half of respondents (51 per cent) said they are using both interchangeably. Just under half (45 per cent) of those surveyed said they see voice as the future search tool. More than four in five (83 per cent) agree that voice search will make it easier to search for things, and 89 per cent believe it will enable people to search for things more quickly. “Our research shows the sheer potential of voice and search more broadly as a way for brands to authentically communicate with audiences,” said Matt Bush, Director of Agencies - Google UK.